There are few things more hotly anticipated than the release of Tesla’s more affordable Model 3 electric car, and it is probably fair to say that the iPhone 8 is one of the things on that exclusive list. Alongside the new phone Apple will also release iOS 11, with a really big new feature; ARKit. As it turns out, Apple’s new augmented reality platform and Tesla’s upcoming car are a match made in heaven. At least as far as a new demonstration app is concerned. 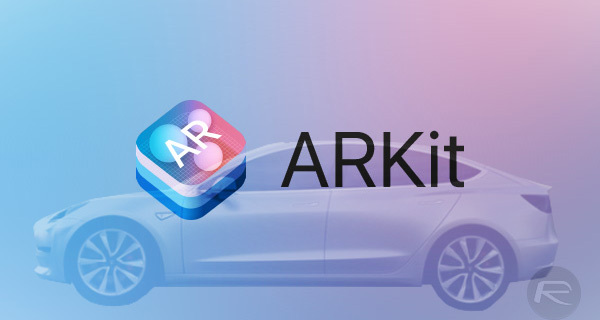 With ARKit announced during WWDC, developers have already gotten to making some demonstration apps that take the new platform and do some amazing things, and the latest of those is created by Jelmer Verhoog, a Model 3 reservation holder from Norway. Verhog has created a new Model 3 configurator that will take the new car and place it anywhere you want, including your very own driveway. When it’s there, users can change the color of the vehicle, make its lights flash and even have it drive around in a way that also has it reacting to its surroundings. Bump in the road? No problem, the car will drive over it just fine. With Tesla expected to launch its own configurator alongside the real Model 3 later this month, the developer says he will do the same with his own work when iOS 11 ships later in the year, likely September when Apple will also announce and then release the next big smartphone to come out of Cupertino, the iPhone 8.